Pro Kabaddi 2016 Final Match: It is a final day for Pro Kabaddi 2016 season 4 for Men and Women. The PKL 2016 for men has started on 25th June 2016 for Puneri Paltan vs Telugu Titans at Shree Shiv Chhatrapati Sports Complex, Pune. Here today, the Pro Kabaddi 2016 final match will be held for Patna Pirates vs Jaipur Pink Panters at Gachibowli Indoor Stadium, Hyderabad on 09:15 PM IST. Pro Kabaddi 2016 for women has started on 28th June 2016 for Fire Birds vs Ice Divas at DOME@NSCI SVP Stadium, Mumbai. Today, the final match will be held for Strom Queens vs Fire Birds at the same place, SGachibowli Indoor Stadium, Hyderabad on 07:00 PM IST. 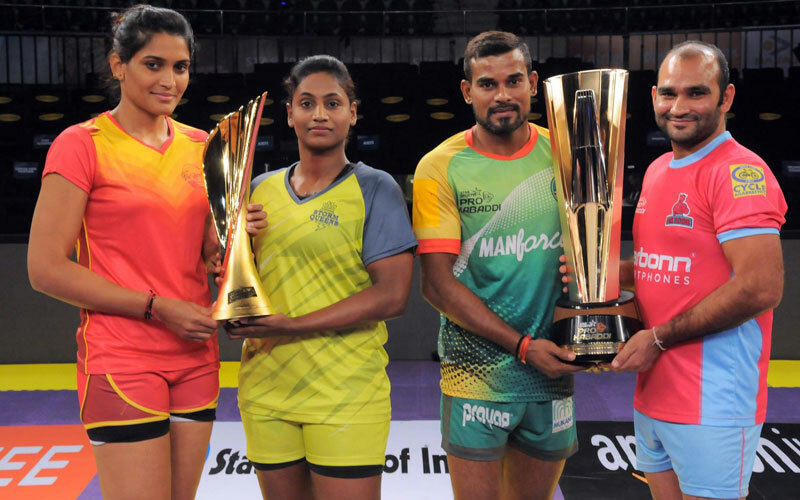 After the Women’s Final Match, the Men’s 3rd Place Match will be held on 08:00 PM IST for Telugu Titans vs Puneri Paltans at Gachibowli Indoor Stadium, Hyderabad. The final standing position of the men’s pro kabaddi 2016 league is in the order of Patna Pirates, Telugu Titans, Jaipur Pink Panthers, Puneri Paltan, U Mumba, Bengaluru Bulls, Dabang Delhi K.C., Bengal Warriors. The Semifinal decided the finalists and it will be conducted today on 31 July 2016 (Sunday). Let’s see the details about the performance of Today’s finalist. Patna Pirates: The team faced the semifinal match against with Jaipur Pink Panters in the PKL Season 1. But, the team lost the semifinal. So, the team played a game against with Bengaluru Bulls. And won the title of 3rd Place on 31 August 2014. Again in the semifinal two on the PKL Season 2, the team lost the match against with U Mumba. So, the team played 3/4 Place against with Telugu Titans and lost the game by the final score 26-34. In the Season 3, the team won the Pro Kabaddi season 3 final Cup on 5th March 2016. The team won the match against with U Mumba by the score of 28-31. Jaipur Pink Panthers: In the First PKL season, the Jaipur Pink Panthers won the title and the Pro Kabaddi Season 1 Cup on 31st August 2014 against with U Mumba. Season 2, the team didn’t get into the Semifinals. The team didn’t score and placed their team name in the top four on the PKL 2015 season 2 standings. Season 3, again the team failed to place their team name on the list of top four standings. The team scored 28 points in the four wins, eight losses, and two ties. So, Jaipur Pink Panthers team stands in the sixth position on PKL season 3 standings. The season 3 winner team and the season 1 winner team will play the Season 4 Final. Let’s wait to watch this Healthy competition tonight on 09:15 IST. Get more details about the Pro Kabaddi Season 4 Live Streaming on the given link above.